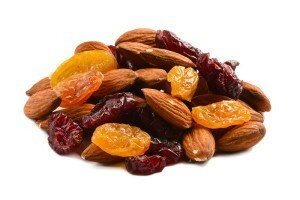 Treat yourself to an exotic experience with our dried fruit trail mix. The enticing aroma of this mixture is a preliminary pleasure leading to the exciting combination of tropical flavors that you're about to enjoy. Among the variety of signature trail mixes we offer, this is one of the sweetest, most colorful and most texturally diverse mixtures. Apricots, Prunes Pitted, Pears, Peaches, Apples, Raisins, Pineapple, Sugar, Sulphur Dioxide, Potassiaumsorbate. May Contain Pit Fragments. Apricots Products of Turkey. Pineapple Product of Thailand. 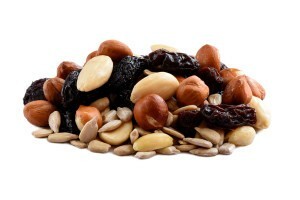 Best Dried Fruit Trail Mix in the market. Apple is my favorite. Super FRESH !!! This is a WINNER! A colorful and tasty mix of healthy, tasty, very satisfying snacks. I take these with me on road trips and always have a small stash with me for mid-day pick-me-ups at work. Great fruit mix! Exceeded my expectations! A unique blend of dried fruits that’s a nice break from the traditional fruit mixes. My favorites are the apple rings and pear! My boyfriend and I ate a whole bag in a day! great! These are great dried fruits. I’ll need more soon enough. This mix is great! I’m not a fan of the apples but my husband likes them OK, so we’re good! the apples are my favorite, all are very good and sweet. Earn up to 92 points.